Traveling to Greece for an Adventure! Ελληνική Δημοκρατία! I can’t wait to explore Greece (officially titled the Hellenic Republic or Ελληνική Δημοκρατία)! There are so many things to do and see! Is there anything people recommend? We have received a lot of advice and would love some more! We were told to fly into Athens and explore the historic sites before heading next to Delphi or Olympia and then go to the other. After that, we were told it would be best to check out Santorini (even though it will be packed, the sunsets in Io are supposed to be a must) or Mikonos before going to a less populated island, such as Folegandros (Agkali Bay) or Sifnos (Vathi Beach). The Margarita Blue Sand Hotel has come up a couple of times. There are so many fun facts floating around about Greece, not only of historical relevance, but for modern day purposes as well! Greece, the home of the loggerhead turtle and over 4,000 traditional dances! I don’t know how true the later is, but it sounds amazing! It’s also illegal not to vote! So many little tidbits to learn. Is it true that it’s an insult to wave with an open palm? I would love to learn about the different neighborhoods and where would be nice to stay for cultural submersion. Jumping into the fray always sounds like a wonderful idea to learn the most about a new place. I would love to hear about favorite, off the beaten path adventures to check out! Food fun is always a must, of course! Athens is nice for a few days, but then I’d venture out into Greece itself. If you’re driving, I’d suggest heading up to Kalambaka first from where you can visit the monasteries at Meteora. From there you could head down to Delphi - amazing place. Then there’s a ferry across to the peninsula and on to Olympia, Nafplion, Mycenae, Corinth… the list is long. And definitely head to see some of the islands. Yes Santorini is wonderful, but there are quite a few ‘off the beaten path’ islands as well that are a little more authentic. We had a great time on Sifnos about 20 years ago but things change so I’m not sure whether it’s as it was. Regardless, there’s plenty of options and you’ll have a great time. I’ve been to Greece a number of times and have family there. In Athens, the Plaka, Psirri, Monastiriki and Koukaki neighborhoods surround the Parthenon–explore. Do not miss the Parthenon Museum! In Psirri, eat at Nikita’s. 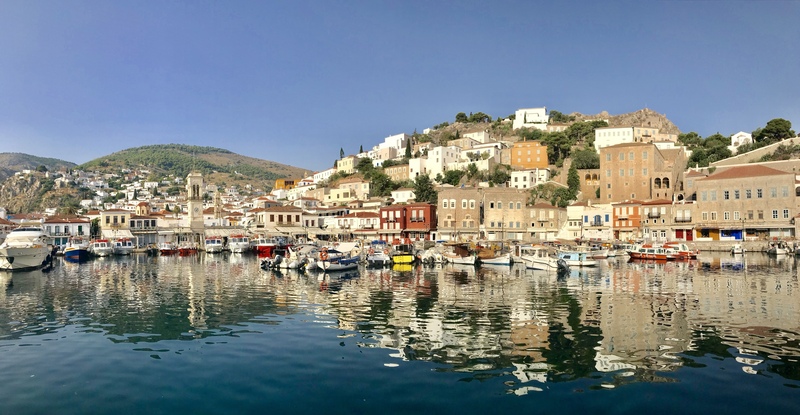 For an easy island visit, consider Hydra and Sepses–both beautiful and within easy ferry ride of Athens. Folegandros is the most beautiful place I’ve ever been. The Polikandia Hotel is simple but lovely, and well-situated. The problem with Greece is that it is probably the only country in the world that has such a big variety in Landscapes, food, cultural elements, history, music, and I can keep going on. The thing is this: Whatever you are looking for exists in Greece, all you need is to find it by knowing were to look. Any personal favorite unknown places or foods you’d wanna share? Seconding this recommendation to visit Hydra. One of the most beautiful islands I have ever visited and much less crowded/touristy than the likes of Santorini or Mykonos. There are no land vehicles and no street names on the island, so you have no choice but to explore! Basically any remote area with little or no tourism is interesting in Greece. love to learn about the different neighborhoods and where would be nice to stay for cultural submersion. Jumping into the fray always sounds like a wonderful idea to learn the most about a new place. Hey So nice you are asking hints about Greece… cause I got the best! click on destinations and you 'll see all islands. If you visit Ikaria during summer you will join big “Festivals” with fresh meat and red wine… the most well-known of them all is the on that is celebrated in August 15 at “Lagada” search for videos and you’ll understand… it might look a little chaotic but its the best experience ever!